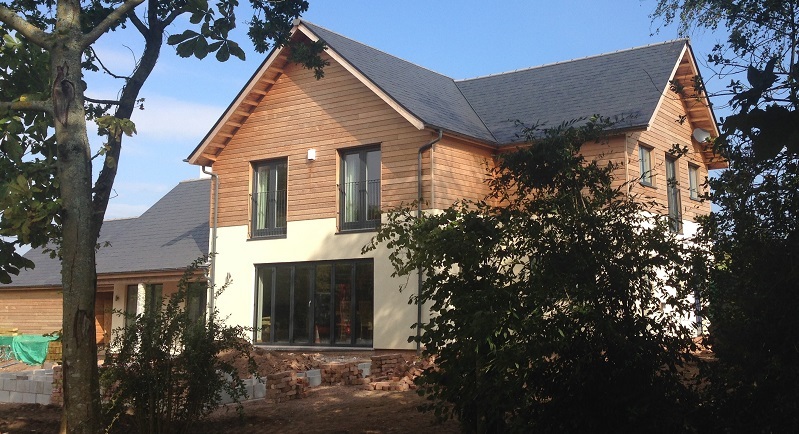 We worked from the planning consent that the Client had obtained, obtained building regulations approval, and completed detail design, of this elegant house in a village near Exeter. Frame by Touchwood Homes, everything else by local contractor Roger Guest or managed very ably by our Clients. The house, and its spectacular garden, were completed in 2016. In our Clients' words, "Sincere thanks from us both for your input, impeccable attention to detail, and advice to us and (the contractor) during the build. The house has attracted a lot of attention and an incredible number of favourable comments."